The context: On March 22, President Trump announced a new round of tariffs on around $50bln of Chinese imports (leaving Europe off for now) and China unveiled tariffs on $3bln of US imports. This adds to the measures announced on March 8, when US President Trump signed an order that imposes tariffs on imported steel (25%) and aluminum (10%), effective on March 23. Canada and Mexico are exempt for an undetermined period, in part conditional on the progress in NAFTA negotiations. Further exemptions may be granted for long-term allies (e.g., Australia), and for products that are no longer produced into the U.S, but there is no clarity at the time of writing regarding how and if any exemptions will be agreed. For now, we anticipate further controversial trade actions and noise, but we do not expect to see escalation into a full-blown trade war. 1. Protectionist winds are blowing: what could be, in your view, the main impacts on the global economy? A. Usardi:Our outlook on global growth and trade has not changed at this stage: real GDP should grow at 3.9% in developed markets in 2018, up from 3.8% last year, thanks to the stronger contribution of the US economy (now expected to grow at 2.9% this year). GDP growth is still expected to be above potential in 2019 (in most countries), albeit slightly decelerating. For now, we anticipate further controversial trade actions and noise, but we do not expect to see an escalation into a full-blown trade war. However, risks clearly appear to be increasing. In the medium term, consequences of protectionist threats could be far-reaching if disputes spread: potential retaliation and the possibility that more industries are targeted could undermine confidence and make investment decisions more difficult. This could end up threatening the prevailing benign growth scenario in a kind ofstagflationaryenvironment. However, this is not our central scenario at the moment, but more a tail risk. We think that the current value of trade tariffs on steel and aluminum is more symbolic than material for the US economy. In terms of net trade, they will not solve major issues generating the imbalances. The risk of unintended consequences from protectionist measures is high, especially as production chains are more globally integrated. 2. What do you believe will be the effects of the tariffs on steel and aluminum recently introduced on the US economy? A. Usardi: Tariffs on steel and aluminum were instituted to protect a specific sector of the US economy that has not been able to compete successfully with external producers (Canada, the European Union, Brazil, South Korea and Mexico, to name the top five), although rhetorically these policies were introduced as a way to address a dumping issue related to China’s steel overproduction. 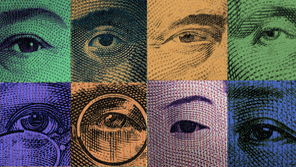 We think that currently their value is more symbolic rather than material for the US economy. Should everything play out as per the initial estimations of the Department of Commerce Section 232 Investigation, at the sector level, we should see an increase in capacity utilization. The original measures proposed were calibrated with the aim of reducing steel imports by 37%, and aluminum imports by 13.3%, with the goal of enabling the US domestic sectors to reach an 80 percent capacity utilization rate at 2017 demand levels. While the impact on the sectors is somewhat clearer (although the exemptions could water down the final effect), the potential impact on the overall economy is more unclear, although as of now, we think this will not materially change our outlook in terms of growth and inflation. In terms of net trade, tariffs will not solve major issues generating the imbalances. In 2017, primary steel and aluminum imports were approximately 2% of total goods imports. The declines as estimated above should lead to an approximately US$16bn drop in imports by these sectors. Therefore, in the context of the 2017 total US trade deficit of US$566bn, the impact would not be major, especially if we consider the possibility of some specific retaliation from trade partners. In terms of growth, employment and inflation, estimating the effects is complex, as this process would depend on how many factors interact in the manufacturing production chain that use steel and aluminum products. Incentives to invest, expand production and increase employment may change depending on the ability to switch to cheaper suppliers, while the impact on inflation would depend on the pass-through of higher input prices into final products. Talking about numbers, according to the US Census, steel mills in 2015 employed about 140,000 Americans. But, 6.5 million Americans work for manufacturers using steel as an input. So, the main point the manufacturers opposing these tariffs make is related to the jobs put at risk overall in comparison to the size of the sector protected. In a highly globally integrated production chain, identifying clearly how such measures would impact an industry is not an easy task, with the risk of underestimating unintended consequences increasing. One study commissioned by the consuming industries showed that George W Bush’s steel tariffs in 2002 (30% above set quotas) did more economic harm than good, pointing to 200,000 job losses resulting from higher steel prices. One-quarter of job losses occurred in the metal manufacturing, machinery, equipment, transportation equipment and parts sectors. Finally, more workers lost their jobs in 2002 to higher steel prices than the total number employed by the US steel industry itself. Findings from the GTAP model (used by the Department of Commerce to evaluate the impacts of the tariffs) also show that the 2002 Bush tariffs-induced rise in steel prices generated overall a loss in aggregated welfare while producing a shift in market share of steel exporters to the US (EU and East Asia declining in favour of Canada and Mexico). Other recent studies point to the fact that steel tariffs could wipe out up to 40k auto jobs, equal to 33% of the steel workforce (source: Council of Foreign Relations), while another suggests that in terms of job creation, the direct gains from these tariffs (+33.5k) would be dwarfed by the losses in the rest of the economy (-179.4k). While many of these studies could be considered not independent, they clearly raise the issue that the risks of unintended consequences from protectionist measures are high, especially as production chains are more globally integrated and these actions may affect in sometimes unpredictable ways downstream industries and alienate international partners. The direct impact on headline growth and inflation of the new tariffs should still be contained. 3. What do you believe will be the effects of new tariffs against China on the US economy? A. Usardi: On Thursday 22 of March, following an investigation initiated by the Administration, president Trump announced the US would take action against China to defend US companies from intellectual property violations, claiming around $50 billion per year damage to the US. The USTR should publish the proposed trade remedies within 5 days; these would become effective after a 30-day period of notice while consultations would take place. Hence, any tariffs would go into effect in early May approximately. Initially there was some confusion. Some reports tended to suggest that $50 billion was the size of the tariffs collected. Instead, it looks like the Administration will put 25 % tariffs on $50 billion worth of Chinese imports, totaling $12.5 billion, much less than feared initially. All in all, the direct effects both on growth and inflation for the US should be still limited, especially if the process for the implementation finally would allow for products exemptions. Combined with the other tariffs on steel and aluminum, so far imposed, and related exemptions, the direct impact on headline growth and inflation should still be contained; but we need to be aware that often what matters most are the indirect effects, both in terms of possible retaliation from affected counter parties and uncertainty for businesses deciding upon hiring and investments; tariffs impose reallocation of resources and are generally not efficient, very often ending in general economic loss as many studies suggest. Generally tariffs impose additional costs, translating at least in the short term into higher prices, unless goods imported with tariffs could be easily substituted. Yet, the final impact would depend on the possibility of full pass-through to consumers or absorption by profits of additional costs, but not knowing yet which items could be more impacted, is difficult to give an estimation. The NAFTA negotiations process should not be affected by the recently imposed import tariffs and move on independently from what the US might do on other trade fronts. 4. Do you think these measures will affect NAFTA negotiations, and if so, how? Where do we stand in this regard? A. Usardi: When signing the tariffs into law, on 8 March, President Trump announced exemptions for Canada and Mexico, in part conditional on the outcome of NAFTA negotiations. 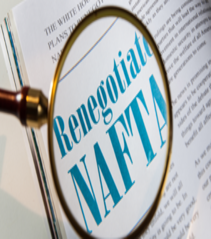 A few days earlier, however, during the closing remarks at the seventh round of NAFTA talks, Canadian and Mexican trade representatives clearly stated that they intend to keep things separated, progressing on NAFTA negotiations independent of what the US might do on other trade fronts. We believe that this will be the case, although the US president’s move could be seen as a willingness not to interfere negatively with these negotiations and, in some way, a sort of “opening” after a much tougher rhetoric used in the past. All in all, this approach appears to fit within President Trump’s negotiating style. The eighth round of NAFTA negotiation is tentatively scheduled for 8 April in Washington, DC: however, significant uncertainty remains; thus, it will be difficult to see a conclusive agreement during the eighth round, especially as Mexico has stated that it is willing to take all the time needed to reach a good deal. So, a longer negotiation process is still our base scenario, unless the concerns about a change in attitude from the US, given the staff turnover at the White House and related implications, shift the negotiators to preferring to finalise a deal more quickly, rather than reaching a good deal. It’s not the direct effect of tariffs that is the main source of concern, but possible implications in terms of uncertainty and, hence, confidence and effects on investment decisions. Potential impact of US tariffs on EU countries should not be significant. Germany, the UK and Sweden would be most affected by escalating trade tensions. 5. What are the expected impacts on the European economy? What expectations do you have regarding a possible retaliation from Europe? A. Brasili: Let’s state the facts first: European exports of steel and aluminum to the US are reported at just above US$6bn (summing the two, details depending on classification), accounting for 1.7% of total EU export to the US. So, the amount is not that high. So far, Europe is not involved in the new round of tariffs imposed to China. Considering that the US buys 20% of European Union exports, the amount in question is around 0.3% of total EU exports. It must be added that from a purely economic point of view, adding tariffs to products that are an intermediate good means raising the cost for downstream users of this product. It is well-known that what is gained in terms of defending a specific sector (also adding the revenues deriving from tariffs) is more than negatively balanced out by losses at downstream sectors and with consumers – particularly if the “protected” sector is highly capitalized and much less labour-intensive than its client sectors (i.e., construction or automotive). Hence, a retaliation in the sector itself (imposing tariffs on US steel exported to the EU) is not advisable and, per se, this sort of action is actually not hugely significant. The problem is that it signals an attitude, likely reinforced by any form of retaliation, that can be transmitted to other sectors (namely, and it was mentioned by Trump himself, the auto sector). The issue is more in line with that raised by Mr Draghi: there is a potentially broad impact in terms of generated uncertainty and, hence, confidence and investment decisions. Ultimately, in case of regulatory escalation, the role of the WTO (as a regulator of trade disputes) could also be called into question, creating a number of obstacles to world trade dynamics. To assess which countries would be the most affected, let’s apply three different degrees of “simplification”. First, looking at what has already been announced, Germany accounts for a tad more than 25% of EU export to US in the two designated sectors, about 10% more than Italy and France; but as said, the impact will not be wide. Secondly, considering the threat of extending tariffs to the car sector, Germany would be by far the most affected (in 2017, the value of cars exported from Germany to the US was more than €23bn, with around €8.5bn from the UK, €4.6bn from Italy, €1.8bn from Sweden, and €1.5bn from Slovakia). The lion’s share is from German producers. Considering that Fiat-Chrysler obviously has plants in the US, Italy will not be hit that much. In the end, Germany, the UK and Sweden could be most affected in case of an escalation involving the car sector. Thirdly, in which country or region is the US$ weaker and global trade volume more severely affected by protectionism and the threat to any rule-based global trade system? In this regard, the countries that will clearly suffer the most are those more exposed to international trade: for a ranking among Eurozone countries, see the chart below. China’s responses to President Trump’s tariffs should likely be limited, as domestic issues remain top priority. 6. What are possible reactions from China on President Trump’s recent policy initiatives? Is this new element affecting your view on the country’s outlook? Q. Wang: Direct impacts from steel and aluminum tariffs themselves are probably very limited for China. The new wave of tariffs imposed on $50bln imports as a result of the USTR Section 301 IP investigation are expected to be more impactful, but no change of our fundamental views of China’s economy to have a moderate slowdown. Some further retaliations measures might come, on top of the $3bln first reaction. However, we perceive that China’s responses will continue to be contained. Evidence so far suggests that China’s strategy seems to be to avoid serious escalation as much as possible by accepting some short-term costs while offering further sweeteners. This strategy appears to make sense, as China’s leadership seems to view domestic issues as a much higher priority, economically and politically, targeting long-term economic developments. In recent weeks, China has been sending stronger signals on reforms and has revealed ambitious institutional restructuring plans, with a reshuffling of key government positions. North Korea: The US president is said to link this issue with trade talks, while China’s official data suggested its exports and imports with North Korea both slowed markedly in 2017. Steel and other metals: China has already significantly cut local production through its overcapacity cut campaign, and this is likely to continue. Further opening on policy: China had already promised a target of 301 investigation, and also pledged to strengthen protection of intellectual property rights. RMB: Once blamed by President Trump for being kept artificially cheap, the currency has appreciated against the dollar by nearly 10% over the past year. Finally, regarding trade surpluses, a top concern of President Trump, there is a different perspective. Overall, China’s trade surpluses have already corrected meaningfully towards heathy levels relative to its GDP size. But, unfortunately, the majority of surpluses are with the US, and this looks like it is not only China’s problem, but is linked to the global production chain and structural factors in the US. We believe that only in the case of more broadly impacting decisions the world might go back towards more autarchic dynamics. 7. Which EM countries could be most affected by protectionist measures? How might this new element change your views on these countries? A. Berardi:The tariffs implementation signed recently has been, in the end, smoother than anticipated, starting with the exemption of NAFTA countries. Following the first two countries (Mexico and Canada), a second wave of exemptions has come with regard to Brazil, South Korea, and Argentina in the EM space. However, shifting the focus more towards China as it appears in the recent declarations, doesn’t lift the risk on the Emerging Markets at all. It is clear that, generally speaking, the EM growth model is still very dependent on external support and nowadays the product chain value is very much integrated. In the case of not further escalation together with a softer negotiation between China and the US, we do expect only a mild weakening of world trade with more trade redistribution than a unilateral country’s defeat. In the harsher case (still not the base case) of a serious action by the US against China and a proportional retaliation (what we can call escalation towards a Trade War), EM Markets as the rest of the world will be heavily impacted accordingly to their exposure in the product value chain. The most affected economies will be the most open ones (Asia, Europe and commodity exporters), with a strong contribution to growth coming from external demand and low capacity to substitute imports. Indeed, even for countries that are open and export-dependent, the level of imports content of their exports matters too. For instance, we have seen declarations of retaliation at the sector level from some EM countries’ officials, which makes clear that if exporting to the US becomes more difficult, due to higher tariffs, related imports from the US are likely to be negatively affected as well. Imports may also be substituted with imports from other countries, like Colombia, as in the case of Brazilian metallurgic coal (an industry tied to the steel sector). In addition to the trade diversion impact, another not negligible and constructive aspect to consider is the pressure to fasten bilateral trade agreements, which have so far stalled, and reinforce regional trade agreements (US tariffs and the new CPTPP agreement	 - not including the US - decision were signed in the same week). Globalization remains a key building block of modern economic development. We believe that only in the case of more broadly impacting decisions the world might go back towards more autarchic dynamics. 8. From a multi-asset perspective, how is this new protectionism affecting your investment views and convictions? F. Sandrini: Protectionism is an argument currently used by the Trump administration as both a bargaining tool (regarding NAFTA negotiations with Canada and Mexico) and a political weapon to reflect commitment to pre-electoral statements, especially in sectors such as steel and aluminum that do not appear to have significant implications for domestic growth. We are not deeply concerned about a large-scale escalation: it’s not in the interest of China (more concerned about the urgency of internal re-balancing) nor Europe (already experiencing a strengthening euro) to be aggressive on that theme at the moment. We are more concerned that financial markets could be affected by rising speculation about weakening global growth amid rising political rhetoric on the trade subject. The OECD estimates that a permanent 10% increase in trade costs would lower global GDP growth by up to 1-1.5%. It’s reasonable to assume that a large-scale escalation (not our central scenario) would hit exporters to the US, such as Taiwan (electronics) and South Korea (automotive), thereby negatively affecting some of the most resilient growth engines in Asia. Among the domestic US sectors, we see capital goods, aircraft and defense as potentially vulnerable. Hence, we stick to our structural valuation expectations (favouring a mild risk-on approach with hedges), but as a precautionary measure, we believe investors should focus on enhancing diversification, trimming risks in the European and Japan equity exposure (cyclical markets), while increasing preference for US equities. We maintain a relative value conservative focus on EM, favouring Russia and the HSCEI vs the GEM Index. Sector wise, we are eager to see how developments unfold over the coming weeks, but not enough details are currently available with regard to opening conviction long/short strategies. Thus, at present, we maintain a neutral view on sectors with high foreign sales and revenue exposure (such as technology and materials), awaiting more clarity. We view sectors such as utilities, telecoms and insurance relatively safer in an escalation scenario. At a European country allocation level, we believe it worth staying defensive on Ireland and Switzerland, considering their exposure to the US via sectors such as healthcare and media. We expect market volatility to increase. Need to be more defensive and broaden risk diversification. 9. 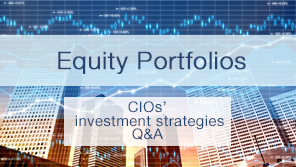 What are the possible implications of recent protectionist measures for US equities? M. Pirondini: As we move from the first part of the Trump agenda (lower taxes and less regulations) to the second (trade), the road is likely to be significantly bumpier. Trade wars are at best neutral to earnings, thought more likely somewhat negative. They are never positive, in my view. We may see some periods of increased volatility. The new US import tariffs on steel and aluminum are unlikely to significantly affect US equities, given the currently overall good economic environment in the US. Trade restrictions may have a more significant financial impact on international equities, with European stocks being particularly affected if trade restrictions continue to come into play. However, we do not expect that recent unilateral trade actions by the US will represent the basis for a full-blown trade war. In the next few months, markets are still likely to be driven by corporate earnings (US corporate profits are expected to be higher than in the rest of the world in 2018), interest rates and trade negotiations. The possibility that the Fed will raise interest rates faster than expected and threats of retaliation by US trading partners have slightly tilted risks to the upside, but the huge positive profit backdrop could smooth the ride. We believe that these measures will not result in major disruption to EM, but they could add some additional noise in a phase of market fatigue. In the medium term, EM will likely continue to enjoy a period of sustained outperformance vs global peers. 10. How is this new environment affecting your view on emerging markets? M. Ratto: We believe that these measures will not result in major disruption to EM, but they could add some additional noise in a phase of market fatigue. Specifically, EM exports supply global markets with base commodities – energy, metals, food, and fertilizer, for example – and EM also increasingly supply manufactured goods to end-customers in the developed world. While many emerging market countries are attempting to improve the complexity of their exports, the transition has been mostly a gradual process. We note a consistent linkage between emerging market export performance and the performance of underlying financial assets in emerging markets. When exports prices and volumes rise, emerging market countries tend to see their currencies strengthen while domestic equities can show positive earnings growth in response. When combined with a current account surplus, the effect can be to increase growth rates. This is generally good for financial assets, with local currency bonds and equities sometimes representing stronger opportunities. Tariff barriers are a protectionist measure that seek to protect a minority of workers against the broader marketplace within a specific country. By nature, they are inflationary for the country that chooses to erect them, while leaving the global supply chain unaffected. In our view, the tariff barriers being imposed by the Trump administration, so far, are narrow enough not to challenge the wider emerging market opportunity. In our opinion, despite the short term volatility, in the medium term, EM will enjoy a period of sustained outperformance vs global peers. We believe that the positive phase will extend from hard currency debt to a broader range of opportunities. We continue to see a valid investment case for hard currency sovereign and corporate bonds, but note the improving case for debt issued in local currency and equities, which are attractive based on a valuation perspective and regarding dividends. "The impact of withdrawing from NAFTA on domestic industries and jobs would be significant, especially in agriculture, manufacturing and auto manufacturing."